Our Boiler Up baby nursery is complete and we are ready to show off all the decorations and furniture. The first week I showed off how we painted the tracks. The second week I showed the decorations more in detail. And this week I'm showing off the furniture and the room in its entirety. 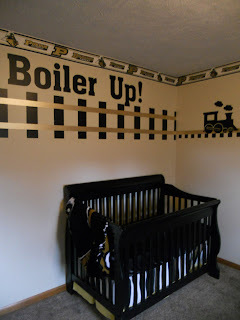 After the baby is born we are going to put it's name in Gold letters beneath the tracks but above the crib. 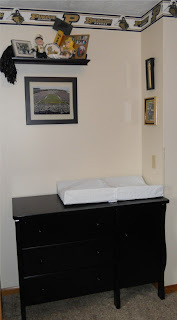 The crib is all black and can be converted to a toddler bed and then a twin size bed. The crib sheet is black and the dust ruffle is black and white striped. 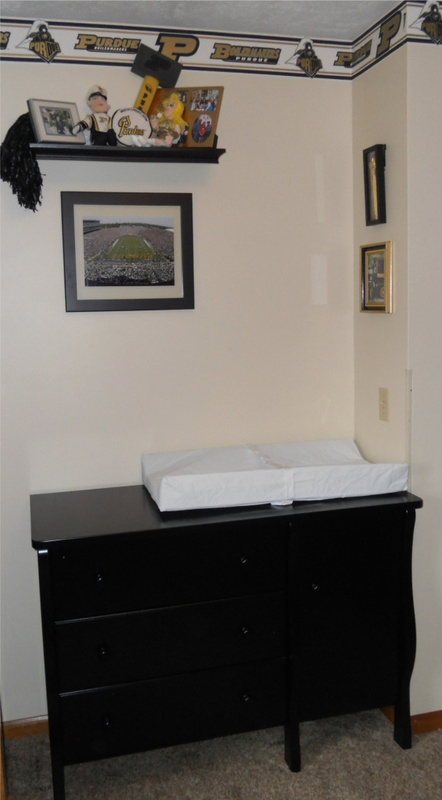 The dresser matches the crib design and is also all black. We are using this to double as a changing table. And have Purdue decorations hanging above. Above the closet door hangs this sign. And this rocking chair we had re-upholstered to match the room and continue on the black and gold theme. We have our diplomas hanging on the wall. Now all we need is for our little MacchiaOTTo to get here. This post was linked to: Metamorphosis Monday at Between Naps on the Porch, Made by You Mondays on Skip to my Lou, Tip Tuesday on Tip Junkie, Power of Paint @ Domestically Speaking, I'm Lovin' It on Tidy Mom, and Inspiration Friday on At the Picket Fence. Even a Hoosier could love this room! The Black is fabulous. Very Cute! Love the train! LOVE this and the fact that he could, in theory, never outgrow it! 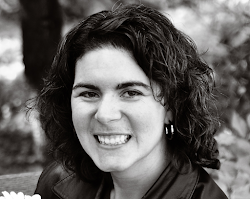 :-) You might have hit on a designer miracle! Nice job! This is GREAT!! Certainly a room for a future Boiler! It is Cute! Love that train!